Dr. Shervin moved to Toronto in 2001 where he attended school and majored in pathology and microbiology. After graduating from the University Of Toronto’s Faculty of Dentistry – where he was actively involved in student politics being a representative for the ODA and CDA – he began practicing dentistry in London, Exeter and the Kincardine area where he became quite involved in dentistry and the communities he lived in. During this time he developed a passion for all aspects of dentistry including paediatrics, anxiety reducing sedation techniques and surgery. His gentle and communicative approach is refreshing and welcoming to his patients. 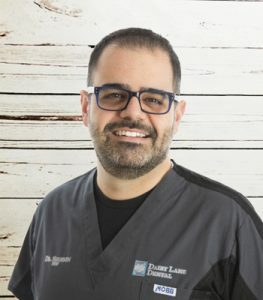 Dr. Shervin moved to Muskoka in 2013 after purchasing Dairy Lane Dental, his first dental practice! He is dedicated to furthering his education in dentistry and providing gentle dental care using newer more advanced techniques of dentistry. Dr. Jordan McKee graduated from the Schulich School of Medicine & Dentistry at Western University after completing her Bachelor of Science in Psychology at McGill University. Originally from Collingwood, Ontario, she was warmly welcomed into the friendly Gravenhurst community in 2015. Dr. McKee fully embraces all that Muskoka has to offer and can often be found hiking, paddle boarding or snowshoeing in her spare time. She is a member of the Rotaract Club of Muskoka, and enjoys giving back to the community through local volunteer initiatives. 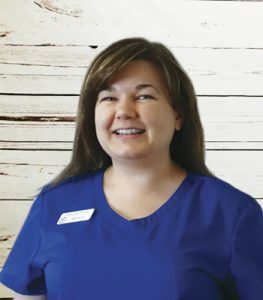 In the dental office, Dr. McKee strives to ensure a comfortable dental experience for both children and adults by taking the time to address her patientsâ€™ concerns with kindness and care. Crissy worked as a CDA Level II for a year before furthering her love for dentistry as a Registered Dental Hygienist. 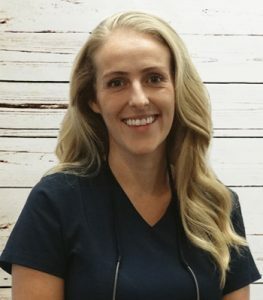 She has been providing dental care since 2010 as a hygienist, with a dedication to comprehensive and empathetic patient-centered preventative care. She believes that preventative treatment and education are the keys to optimal dental health, she takes pride in providing care you need to keep your smile healthy. When not working, Crissy can be found spending time with her family—enjoying all the amazing outdoor resources Muskoka has to offer. 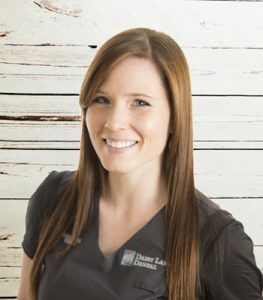 Ryan has been with Dairy Lane since 2001, first as CDA Level II and returning as a Registered Dental Hygienist in 2005 after graduating from Canadore College with honors. He perceives dental hygiene to be an integral and invaluable aspect of overall health. He takes pride in his work and enjoys providing dental hygiene care in a kind, compassionate manner. When not in the office, Ryan enjoys the outdoors and spending time with his wife and kids. Kara has been working as a hygienist since 1993 restoring and enhancing our patients beautiful smiles. Kara moved to Muskoka in 1988 after graduating from Canadores’ Dental Assisting Program. 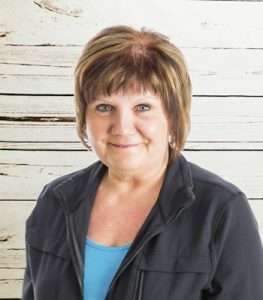 Due to her love of learning and love of dentistry she continued her education and graduated with hours in 1993 from Canadore Colleges’ Dental Hygiene program and graduated with hounours in 1995 from George Browns Restorative Dental Hygiene program. Kara lives in Bracebridge with her family and stays active in Muskokas great outdoors. With 30 years dental experience, do not hesitate to ask her about your dental concerns. Emma has always dreamed of becoming a dental hygienist. She was able to fulfill her childhood dream when she graduated with honours in dental hygiene from Algonquin College in 2017. 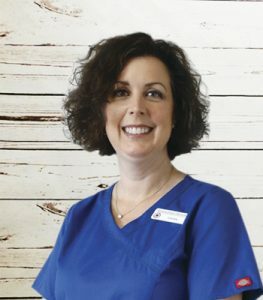 She dedicates herself to her work to provide comprehensive patient-centered care and is proactive in helping her patients achieve optimal oral health. She strives to put her patient needs first to ensure positive, enjoyable and comfortable experiences. 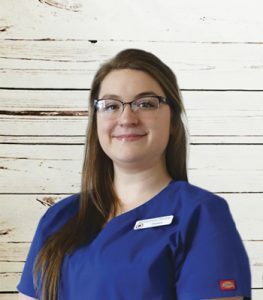 Emma continues to show her passion towards her profession by expanding her knowledge by completing continuing education courses and staying up to date with current research. In her free time, Emma enjoys reading a good book, hiking the Muskoka trails, and spending time with family and friends. 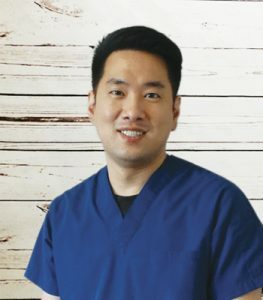 After graduating a Bachelors of Science in dental hygiene in 2009, Ryan completed the Restorative Postgraduate Program with a specialization in orthodontics at George Brown in 2013. Ryan’s interest to pursue a career that specializes in restorative originates from the excitement he finds in being a part of the change in an individual’s smile. He enjoys being a part of their transformative journey to acquiring the smile that they have always wanted. 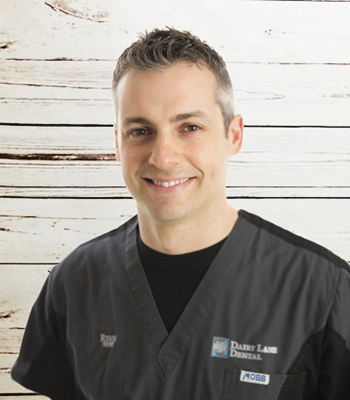 Ryan has been part of Dairy Lane Dental since 2017. On his free time, Ryan enjoys traveling, snowboarding, and playing softball. Stacey is a highly skilled and gentle hygienist. Stacey graduated from Cambrian College in 1996 and has been working as a registered dental hygienist for 22 years. 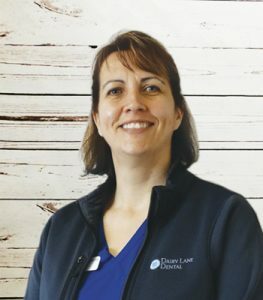 She joined Dairy Lane in 2000 and has gained a reputation for a gentle touch and is a dedicated and caring health professional. She is committed to continuing education and furthering her knowledge in dental hygiene. Stacey is mom to two beautiful daughters. She loves travelling with them and cheering them on at their sporting events. Laura is a familiar face at MFD she started working there Fridays after high school and full time after graduating from Fanshawe College in 1988 with extended training in PEI 1992. Laura’s quick and witty sense of humour keeps the restorative department and clients smiling. Her experience and caring attitude make her a valuable asset to our dental team. Laura married the love of her life Jeffrey in 1992 and together have enjoyed raising their 2 children. Laura is an avid quilter and tries to add a little humour to everyday. Natalie grew up in Elliot Lake, Ontario. After high school, she moved to Thunder Bay where she entered the dental assisting program. In 1999, she graduated from Confederation College as a Certified Dental Assistant (Level 2). 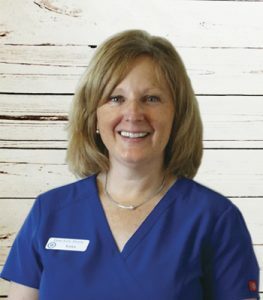 She made Muskoka her home in 2000 and has been working in the dental office for over 16 years. Her years of experience consist of chairside assisting as well as front desk and hygiene coordinator. She is very committed to continuing education and feels certification is important. She loves her job and the variety that each day brings. 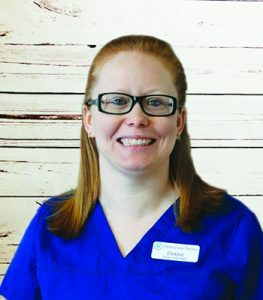 She has a caring and positive attitude toward our patients. 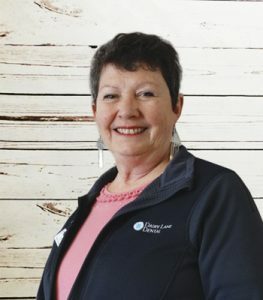 Cathy has been with the Dairy Lane team since January 2000. Her dedication guarantees Dairy Lane runs smoothly. Your every concern will be taken care of due to her exceptional management skills. With a growing office someone needs to be on top of it all. Cathy takes pride in ensuring that every patient receives personal attention and leaves our office satisfied. She takes care of most schedule and financial coordination and is available for all questions regarding dental insurance concerns. In Cathy’s spare time, she can be found enjoying Muskoka outdoor life, most preferably dockside with a good book. Nicole graduated from Canadore College with honours as a Certified Dental Assistant (CDA) in May of 1976. After working chair side for two years she returned to Canadore College and with honours, upgraded my skills to a Certified Preventive Dental Assistant (PDA) in June of 1978. Nicole moved to Huntsville in the fall of 1980 and is proud to call Huntsville her home. 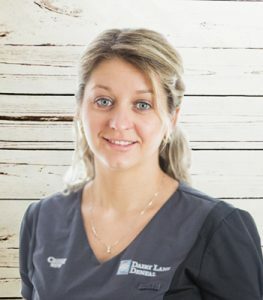 She very much enjoys helping our clients with their individual dental needs and has had the pleasure of seeing generations of families over many years and has ifluenced a few towards rewarding dental careers. 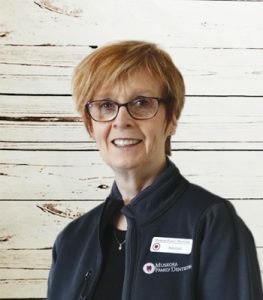 In her spare time Nicole enjoys quilting, curling, knitting, reading and spending time her family and friends. Seeing the smiles of happy clients always puts a smile on Nicole’s face. Joy grew up in Bracebridge, she spent most of her adult life in Tottenham and then moved back to Muskoka 12 years ago. At that time she purchased West Side Coin Laundry and operated it for 7 years. She worked in dentistry for 25 years and decided to join the dental community again in 2016.